As Tom Jenkins sees it, craft beer and bar bites pair perfectly with cutting-edge technology. That’s the tech-forward trifecta at the center of his new venture, VR Rage—a “virtual reality gaming beercade” in Parma. At the soon-to-open bar, eight virtual reality bays will give patrons the chance to test their skills at the latest and greatest VR games. Recent recognition has also fueled the momentum for the local VR scene. CLE-based game developer Jarryd Huntley's "Art Club Challenge" game was selected for the Smithsonian Museum's American Art Museum Arcade showcase in early August. And Virtual Compass—an affordable TourBuilder platform for restaurants, event spaces, realtors, and colleges—was named one of Cleveland.com's 2017 "Startups to Watch." According to Reynaldo Zabala, those are just a few of the ways Cleveland is making a name for itself in this emerging tech sector. 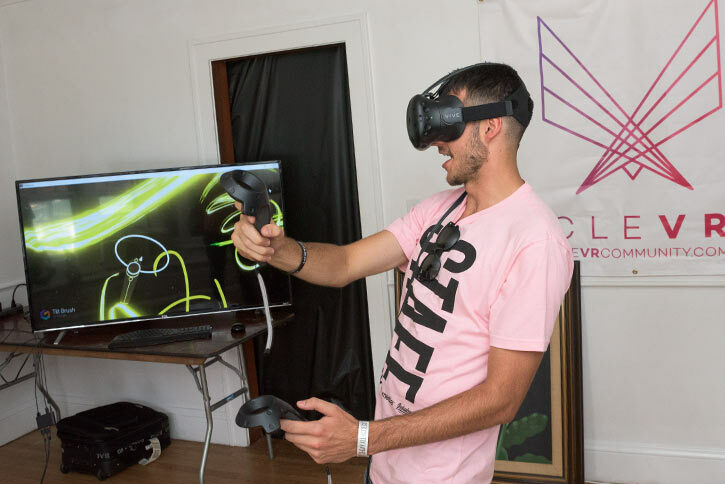 Zabala should know—he's at the epicenter of it as the co-founder of CLEVR, a non-profit and monthly meetup devoted to educating and empowering local VR/AR developers and entrepreneurs. 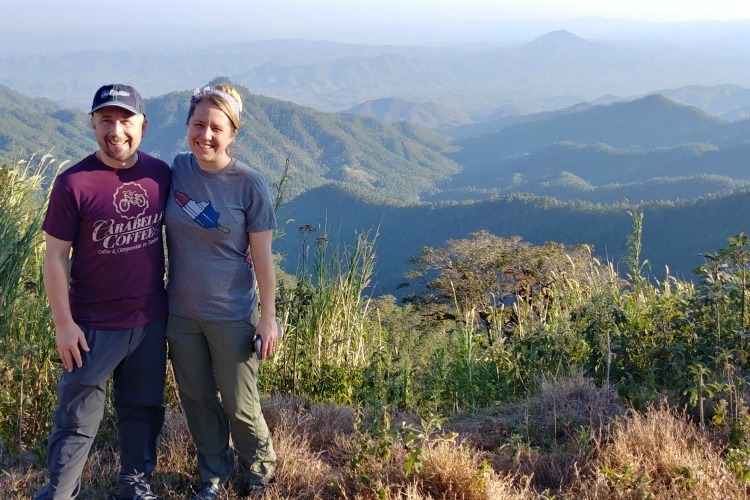 In less than a year, the meetup has grown from just seven to over 150 members, and Zabala and his cohorts are currently planning the first CLEVRCON multi-day conference. 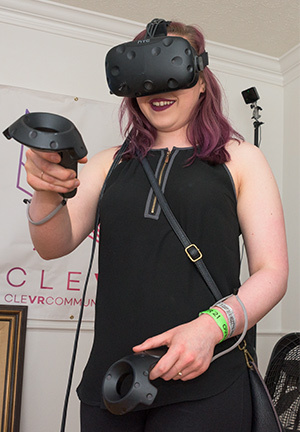 CLEVR also runs demos at local events like the Cleveland International Film Festival and Weapons of Mass Creation to expose more Clevelanders to VR experiences. "We're trying to drive general awareness [of the possibilities of VR] and make it accessible to everyone," says Zabala. 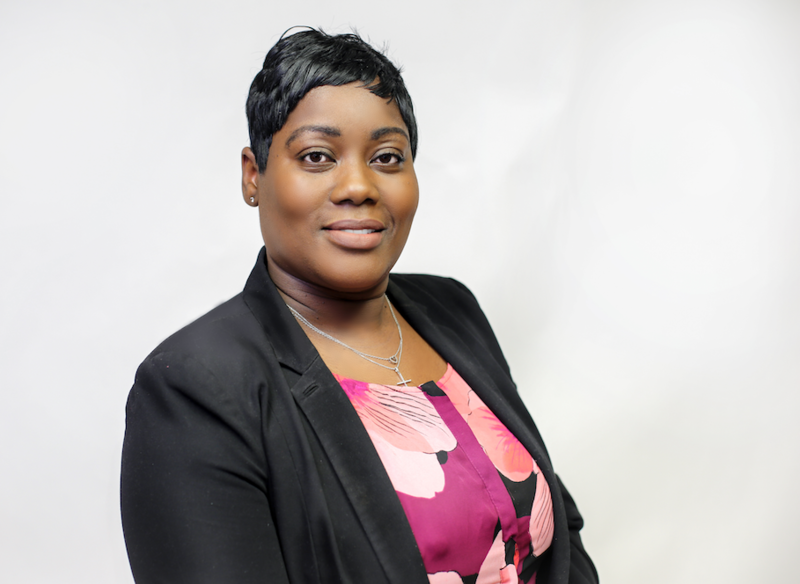 There's also a bigger mission at play here for CLEVR, and that's "improving the socioeconomic health of Cleveland" via a concerted effort to attract and retain tech talent and companies. From Zabala's perspective, Cleveland missed an opportunity during the information age, but there's ample potential for the city to become a trailblazer at the dawn of what he calls "the experience age." "Virtual reality and augmented reality have always been a passion of mine. It is something that is very nascent, but I knew that if we didn't jump on it now, Cleveland would end up light years behind Silicon Valley," shares Zabala, who also runs RazorEdge consulting. "We basically sat out the information age—anyone would be hard-pressed to say that Cleveland did a good job capturing businesses here [during that time]. Looking forward, Zabala believes Cleveland has all the right assets to make it a top player during the experiential age—particularly on the real estate front. "What do you need to do VR? Space," he asserts. "Real estate is cheap as hell here. Imagine the Richman Brothers building on 55th, which is sitting there vacant; that whole thing could be a giant VR experience. In Chicago, that same building would cost $50 million." Zabala also envisions tapping into the local cultural scene as a way to enhance the types of VR experiences Cleveland can deliver—like, say, the Cleveland Orchestra scoring a video game. "Everyone talks about the city's vibrant arts scene, but no one thinks about how it can be deployed to help us," says Zabala. "People look at our cultural scene as something to go do on a Friday night rather than something that can be used to take us into the next century. I look at our city and see amazing potential." Emmy-winning visual effects specialist Rik Shorten also sees the potential in Cleveland's VR scene, and that's a big part of why he relocated to Akron from Los Angeles. 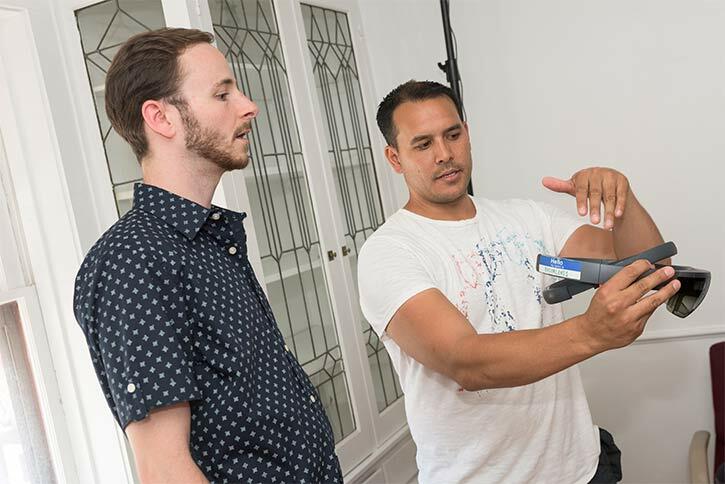 In 2015, he and two co-founders started the company BioflightVR in Venice (aka "Silicon Beach") as an avenue for providing VR-based medical training and educational simulations for the medical community. The origins of the company were rooted in Shorten's VFX work with shows like "CSI: Crime Scene Investigation" and "Grey's Anatomy." "My background for the last 15 years has been in entertainment," says Shorten. "I gained a lot of experience doing visual simulation and medical forensic simulation—that's how we found our way into building a company around education for the medical space. We're able to provide photo-realistic, A-level visual experiences." 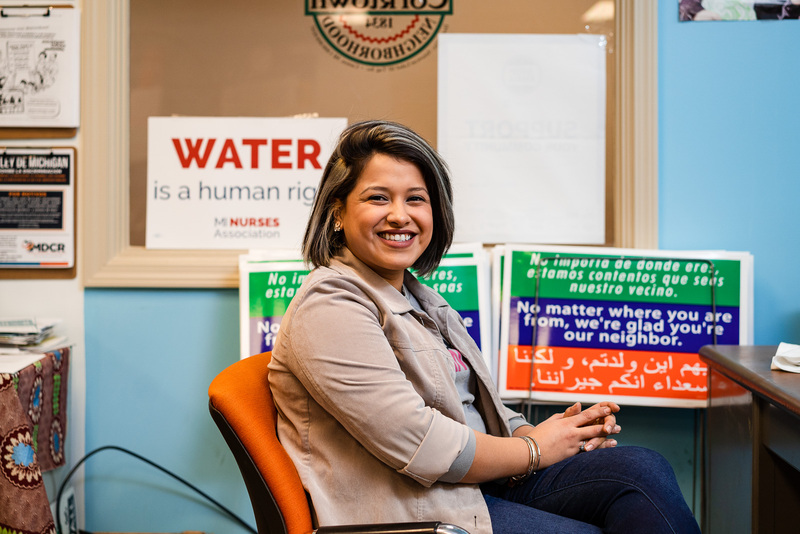 When Shorten's family made the move to Northeast Ohio in January, the decision was driven by a desire to be closer to relatives, but Shorten also saw a valuable opportunity to infiltrate Cleveland's top-notch medical community. "I couldn't have landed in a better place than the Cleveland area to launch a med-tech startup," says Shorten. "[Cleveland has] a real history of medical excellence and pioneering work in the medical space. There are so many opportunities in the state in general, but certainly in this area." Shorten has spent the past year reaching out to institutions like CWRU, the Cleveland Clinic, BioEnterprise, and other companies along the Health-Tech corridor to "evangelize what we're doing with the company" and plant the seed for various pilot programs. BioflightVR's first local pilot program will likely be with Akron Children's Hospital in the area of emergency medicine training, and Shorten anticipates that deal will be finalized by the end of September. Looking ahead, Shorten sees many applications for BioflightVR even beyond the medical community. "There is really no area of business these types of technology won't touch," says Shorten. "Even though BioflightVR is medically focused right now, we look at it as a broader emerging technology initiative in the region. That will become the foundation for a new way of learning and a new way for Northeast Ohio to plant the flag and own this technology." 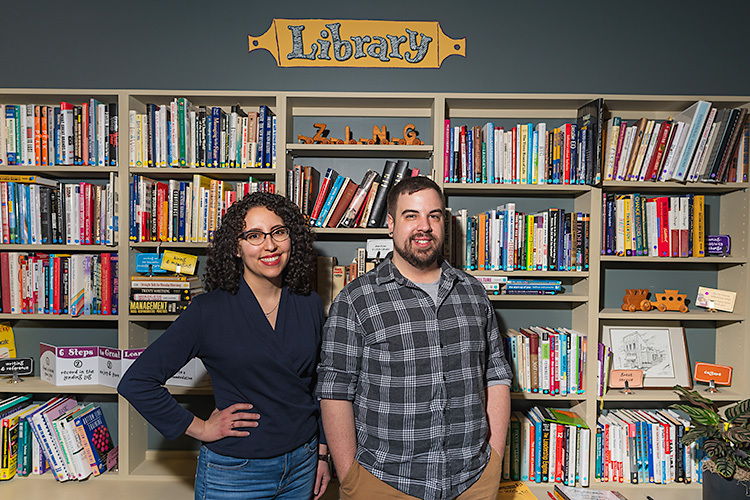 Zabala points to schools like Cleveland Institute of Art and Cuyahoga Community College as strong leaders in game design, as he believes their programs equip students with the swiftly evolving skillsets needed for success. "I believe we will see a shift away from coding and into composition," says Zabala. "A lot of VR experiences are moving toward being able to design or model things with your hands in space, and you won't need to know CAD or how to write code. That may be oversimplifying things a bit, but not by much." Shorten hopes that startups like BioflightVR will help retain the talent coming out of local schools, as well as attract new talent from other cities. He believes that local accelerator programs and funding (like FlashStarts' Cleveland 200 fund) will play a strong role in empowering burgeoning companies to do the same. "Accelerators help raise the profile of the region and [foster] a new cohort of companies to draw talent back home," says Shorten. "We don't want to have kids coming out of CIA and Case and leaving because there is nothing to get passionate about here. By filling in from the bottom and attracting experienced people back [to Cleveland], it will create a nice feedback loop." We'll raise a glass at VR Rage to that.